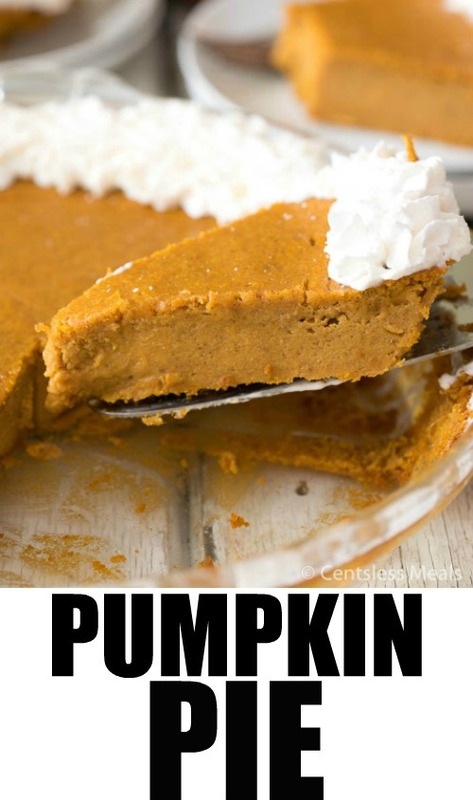 Crustless Pumpkin Pie is harvest heaven on a plate! 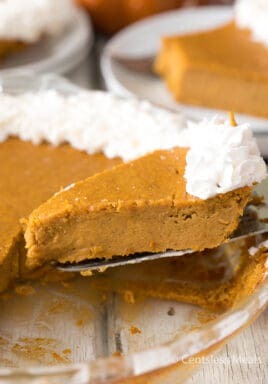 So delicious and easy to make, this Crustless Pumpkin Pie will forever become your fall favorite! 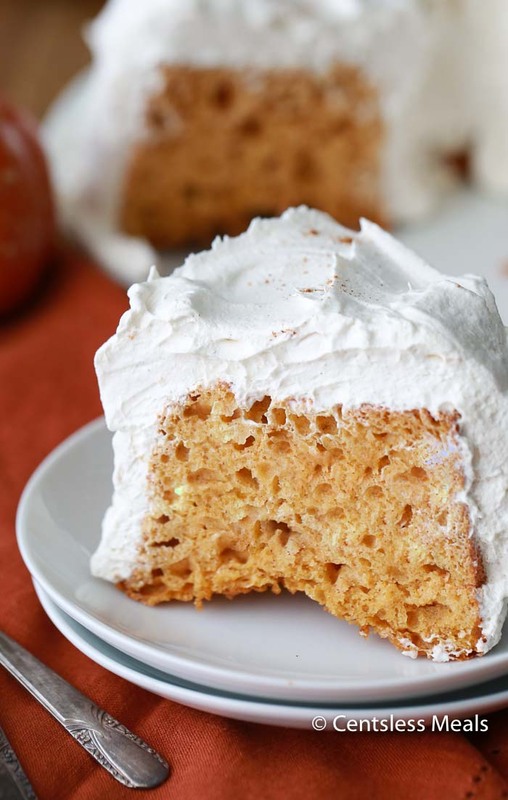 I absolutely love all things pumpkin! I love the flavour, I love how pumpkin recipes signal the seasonal change from summer to fall, and I simply love the color! 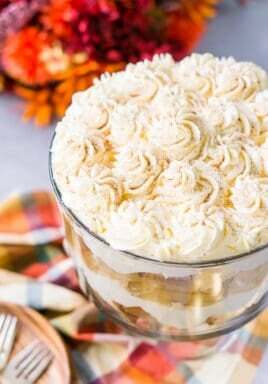 Sometimes when I’m busy preparing a huge turkey dinner, fussing around with dessert is just one more thing to add to the list. This truly is a no fuss recipe. 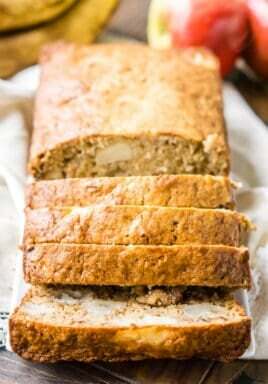 Simple ingredients, beat together and poured into a pan – so quick and it comes out so moist and delicious every time! 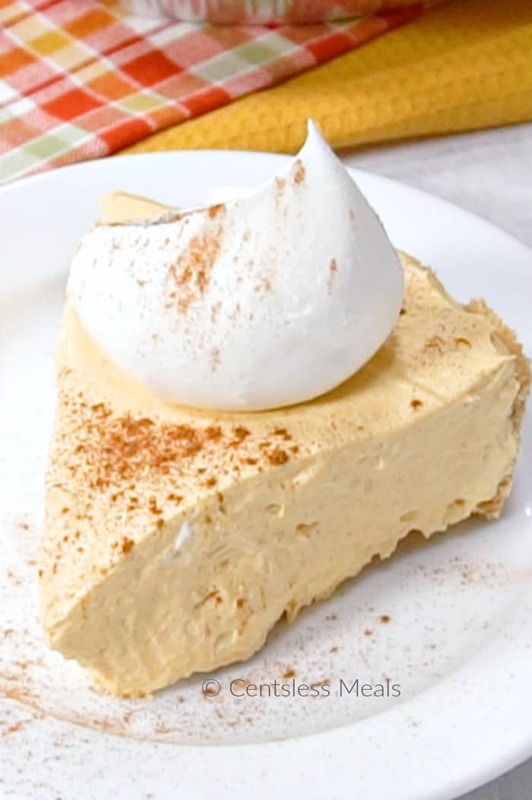 Crustless Pumpkin Pie is often (playfully) called impossible pumpkin pie because truly it’s impossible to mess this one up! Traditionally, pumpkin pie is built on a flaky pastry crust. 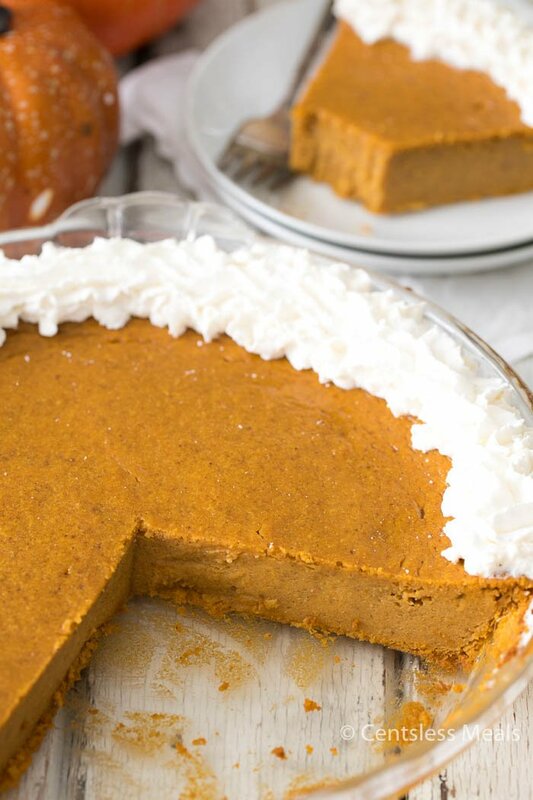 This Crustless Pumpkin Pie is so incredibly yummy you won’t even miss the crust. And the greatest part about this recipe is that while the pie bakes, it actually makes it’s own special type of crust! Not only perfect for your Thanksgiving table, but your Christmas buffet as well! 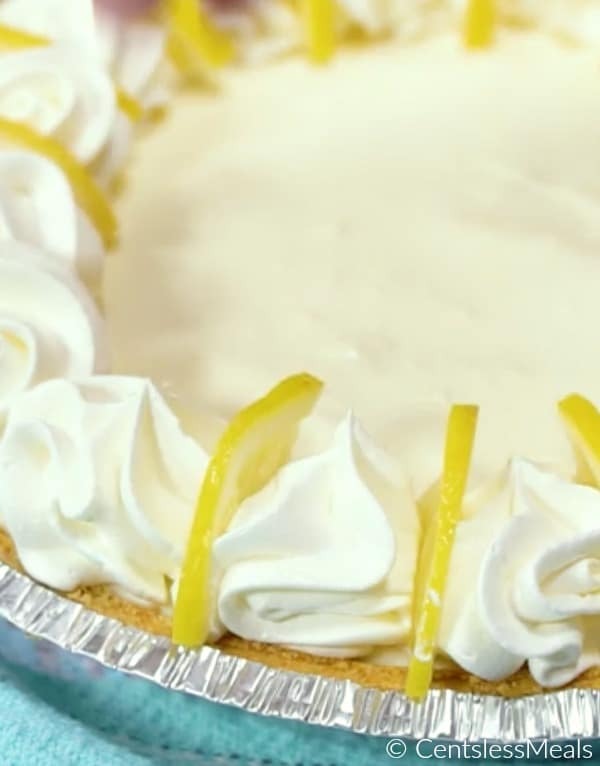 The top of my list is the fact that this pie makes it’s own special crust and I don’t have to! 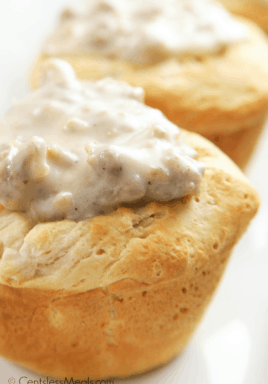 Not only is omitting pie crust preparation a huge time saver, but it tastes just as fabulous without! Whisk together the flour, baking powder, salt, cinnamon, pumpkin pie spice in a small bowl. Set aside. In a large bowl, beat together the sugar, butter and eggs. Stir in the pumpkin, milk and vanilla to combine. Add the dry ingredients to the pumpkin mixture and beat until smooth. Pour into the prepared pie pan. Bake in preheated 350 degree oven for 50-55 minutes or until a toothpick inserted in the center of the pie comes out clean. Cool 30 minutes and then refrigerate at least 3 hours or overnight. Serve with whipped cream or ice cream. 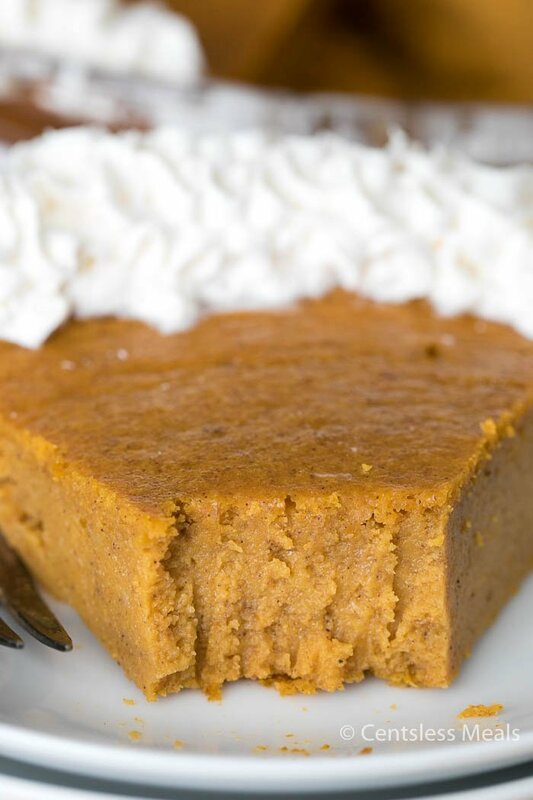 When you are thinking of hosting a group for a fall gathering or even your Thanksgiving celebration, consider serving my Crustless Pumpkin Pie! Your guests will be in awe at how delicious it is and you will be ever thankful because it was such a cinch to make! Does it matter whether a glass pan or metal pan is used to bake this?